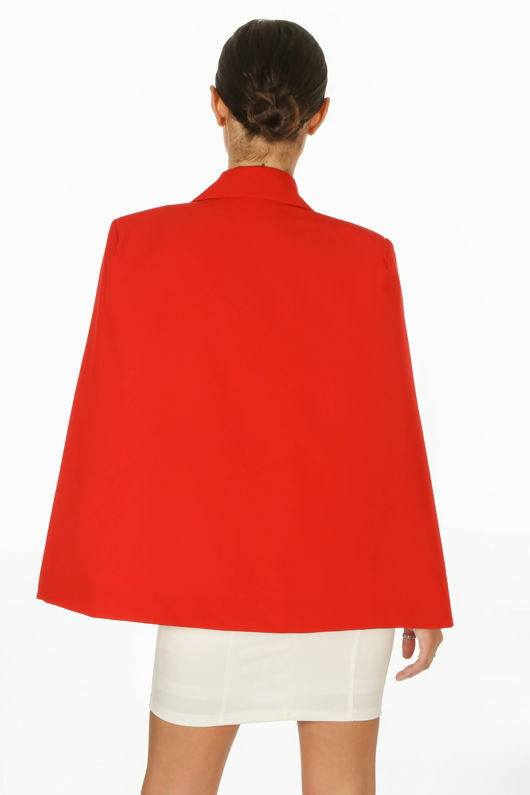 Take tailoring to a new level in this gorgeous cape blazer. 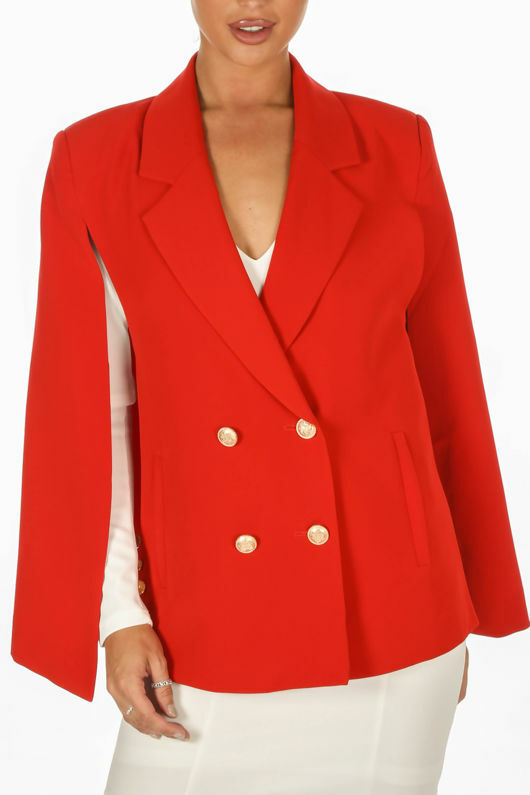 The blazer is made from tailored fabric and features gold double breasted buttons. 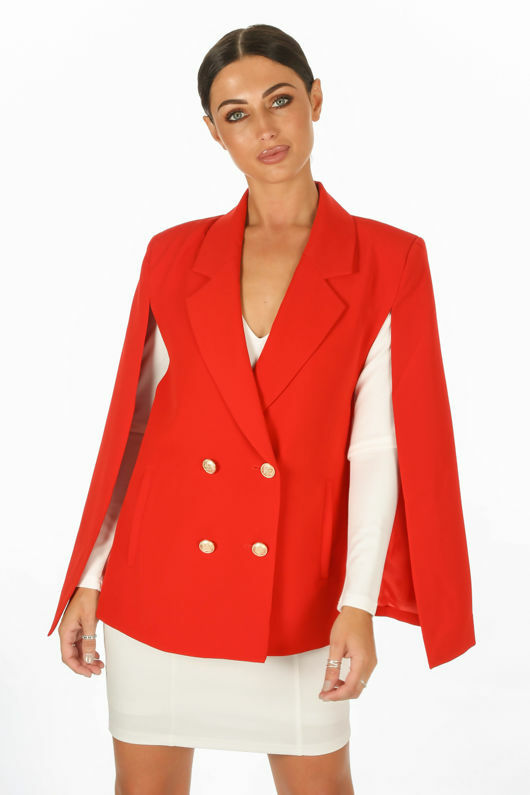 Wear open over a dress or closed as part of a suit. 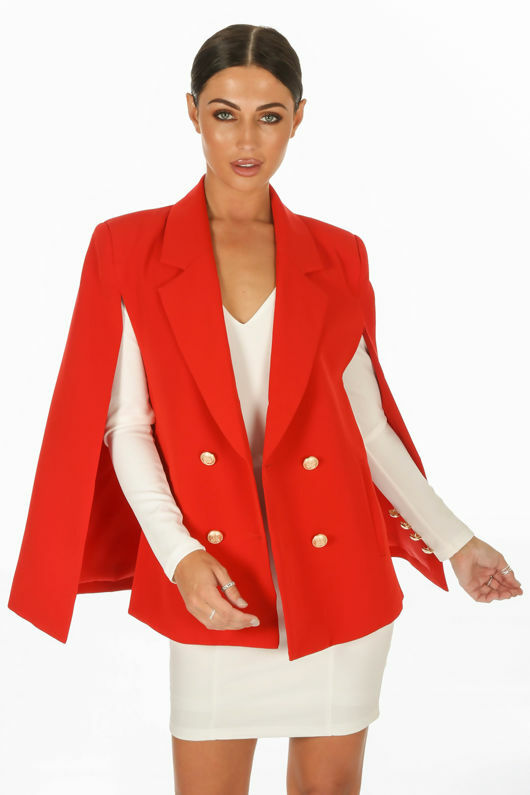 Available in a variety of colours this cape blazer is a wardrobe essential.